Learning to multiply first starts with skip counting by 2, 5 and 10. 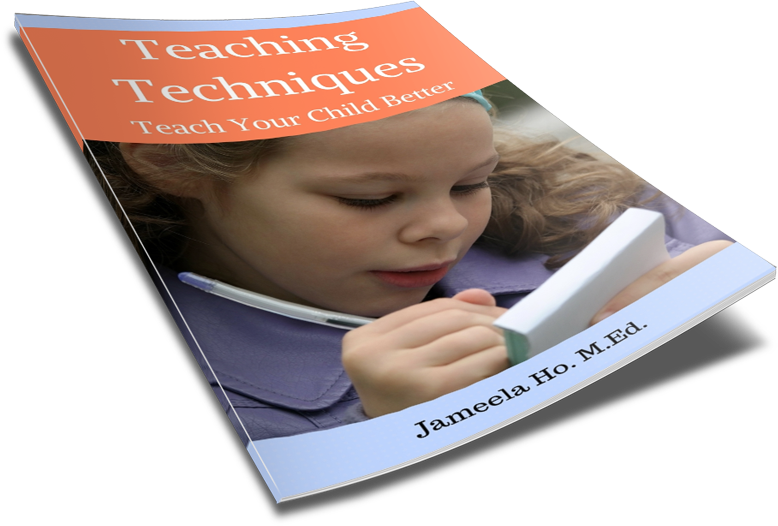 Children then start to, or simultaneously, group things in 2s, 3s, 5s and 10s. They also do repeated addition which is similar to skip counting; so they add 2 plus 2 equals 4, 2 plus 2 plus 2 equals 6 and so on. Once they understand the concept of grouping, they can then start to memorise the times tables. 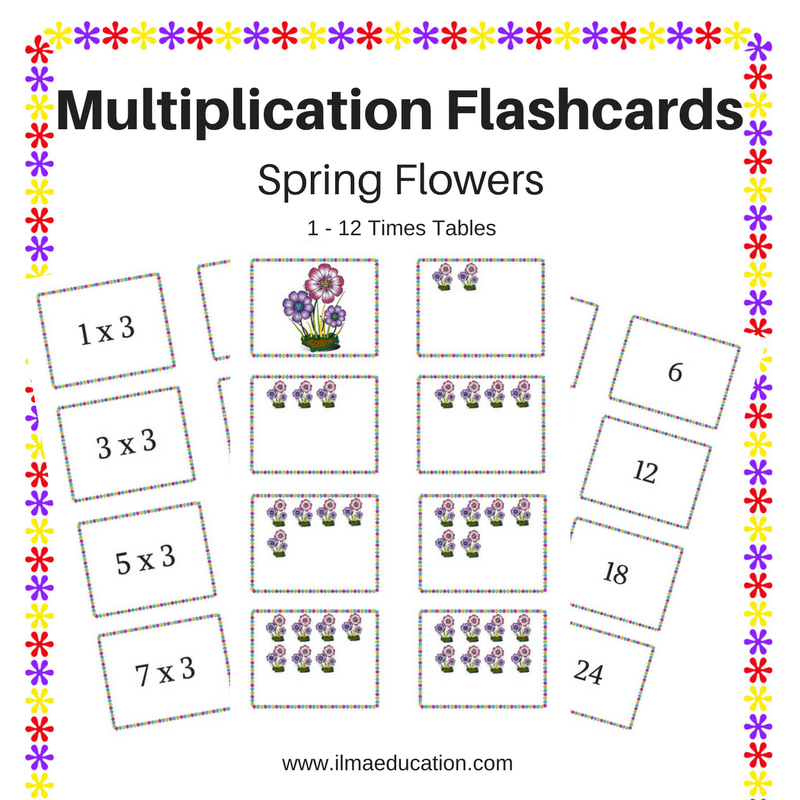 These Spring Flower Flashcards will help your child with grouping and memorising the multiplication tables. 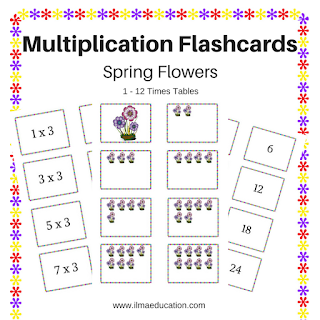 Inside the packet are multiplication cards for the 1 to 12 times tables, the answer cards for the 1 to 12 times tables and picture cards with flower groupings for the 1 to 10 times tables. You can use the picture cards for teaching about groupings and to help children visualise the times tables. You can pair up 2 sets of cards to play a game of match ups or concentration or use the multiplication cards to help with memorisation. For my readers, I have the 2 times table for you to teach your child who's beginning to start grouping and multiplying. 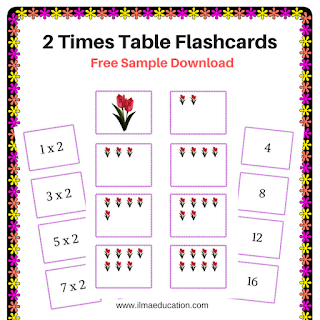 You can download the 2 times table flashcards as a sample. 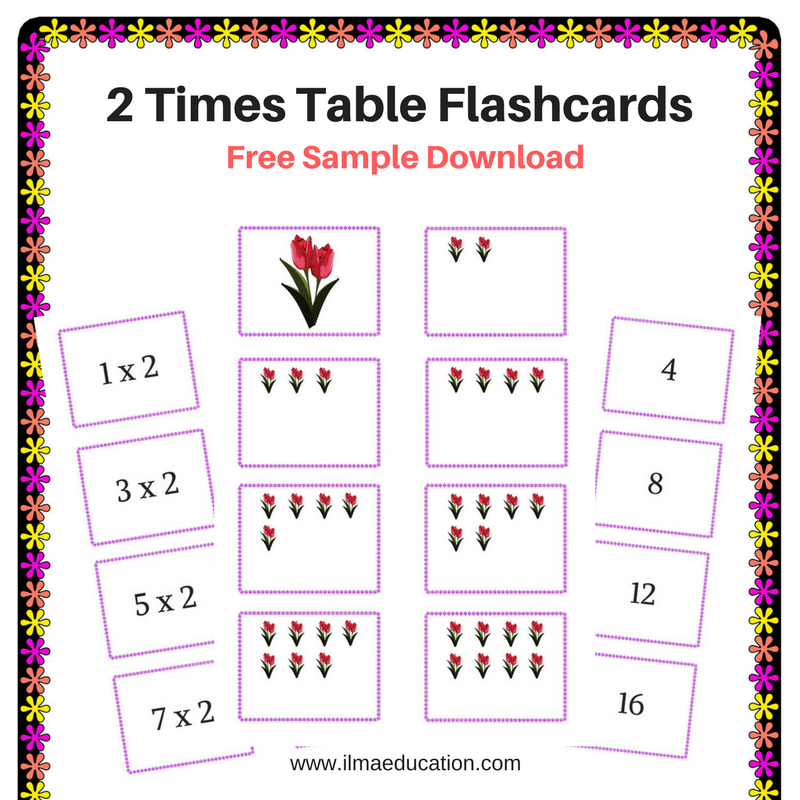 If you'd like to have all the times table from 1 to 12 then you can purchase these cards at my teacherspayteachers store.